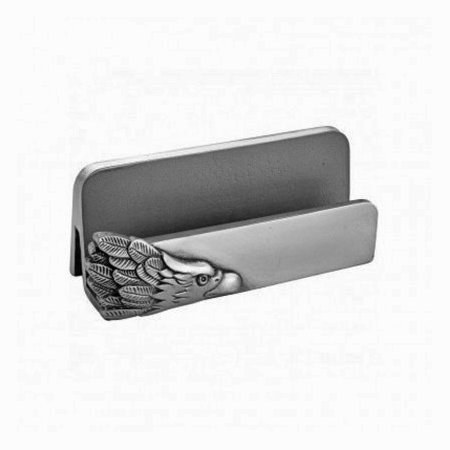 Your new graduate will soon need this pewter eagle business card holder for their new office. The pewter eagle-head business card holder is the perfect accessory to a magnificent desk. All of our pewter is made of only the highest quality and is lead-free alloy with .925 sterling silver. This card holder, with its majestic Bald Eagle, makes the perfect gift for any business associates, college grads or just that special someone in your life. Be sure to view our entire line of fine pewter gifts and accessories.